Hey people! 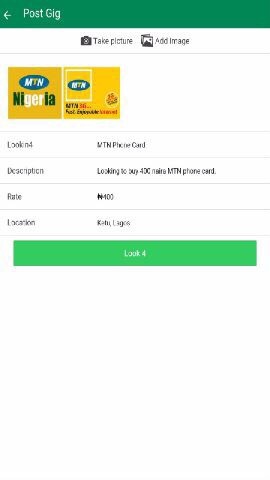 Happy Good Friday!I’m happy to present you with the latest mobile platform taking the African mobile industry by storm- Lookin4.ng. It launched 2 months and has grown quite a bit from both iOS and Android. 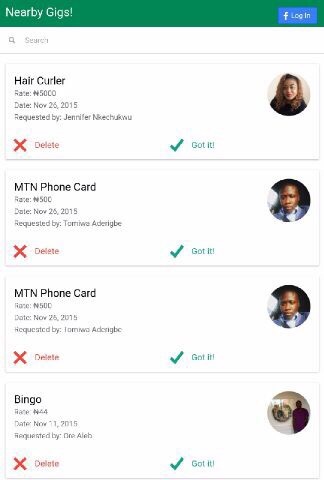 Lookin4.ng is a mobile app available on Google Play Store and iOS App Store. Their goal is to elevate Lookin4 to be the most efficient way to easily find and buy items (or services) in a community. The app comes integrated with geo-location features and a very simple user interface – and it’s ready to scale. Looking4.ng was developed with plans to handle new users and accommodate growth in terms of both geo-location and data storage design. 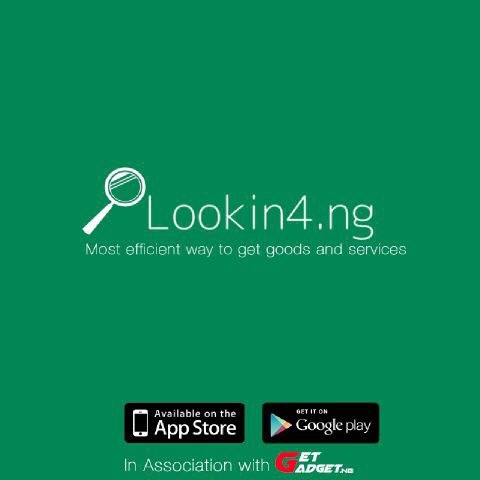 Lookin4.ng integrates a geo-location feature and allows users find items (or services) closes to them. With its design and brand, and it distinguishes itself by requiring a verified social media account to ensure safety. In addition, jiji.ng and similar websites primarily provide the ability to buy/sell products, and neglect many social benefits we can accommodate as a community. For example, a user looking for a football team to practice with for a particular day and time or a student who will like the services of a tutor on campus. Our app functions as a one stop shop for all what users seek in their community. We provide them with the ability to sort or filter through posts based on location, rate, poster, date, and so on, in our app. Support fellow young people doing things to improve their environment and download the app! Previous ArticleInstagram Style Feature #3 - Nsikan Mkpong!